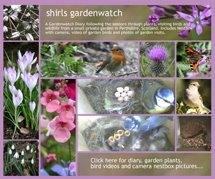 shirls gardenwatch: Where do you find garden blogs? Interestingly there is a twist for me here. 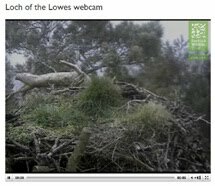 I began this blog as a way to send video footage of the European robin to my friend in Australia who was missing Scotland. I would never claim to be a ‘proper’ birder. 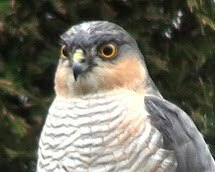 I am very new to this and just chat about my observations, photos and videos of my visiting garden birds. However, I am a gardener and coming round full circle here is Australia, thanks to Stuart at blotanical, giving something back to me with garden blogs! What is Blotanical? Well, it is like a database of garden blogs. Mm.. nothing new there then? Ah… but there is one huge difference. The blogs there have not been randomly selected by a search engine - each blog as been personally submitted by its owner. 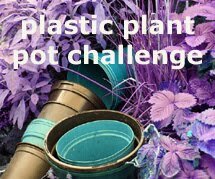 Blotanical is a community of garden blogs regardless of your skill in gardening or indeed blogging. I have now been a member since the end of Jan 08 and have discovered many new and interesting blogs and met friendly bloggers on the way, many who also enjoying visiting birds and wildlife in the garden too. To view a blog in a particular area within the countries you just click on the red flowers until you find the area you are interested in – a text bubble with a link will pop up. Some areas will have only one blog and others will have a few that you can scroll through. You will now have a snapshot of the blog with a screenshot, a description and a list of recent post headings (if the owner has allowed the feed). 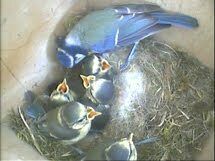 I have chosen to allow my feed as it gives visitors a better idea of the current content of my blog before they visit. There are direct links to the last five posts or you can select the purple button ‘VISIT BLOG’. Why join blotanical when you can browse without doing so? Well, it really depends entirely on what you are happy with, looking for or indeed have the time for. I should warn all track of time can be lost browsing blotanical! You can select other header tabs to view the most popular blogs or view the picks (posts recommended by other blogs) however, without joining blotanical you cannot vote a 'pick’ or leave messages on the ‘plot’ of other blogs. However, you can be a member without having a blog yourself. It really depends what you are looking for. To submit your blog to blotanical there really isn’t much too it. The screenshot above shows the form and there are only a couple more questions and you are there. Once your submission is made you have to wait up to 72 hours for it to be accepted and then the fun really begins. A welcome message will come to ‘your plot’ from Stuart and before long other Bloggers will discover you and send messages of welcome to you too. From there you are up and running and you can take it at whatever pace you want. Hopefully my gardening readers will feel that this introduction to lots of fantastic garden blogs has made up for the lack of gardening chat in my last few posts. Please do come back and visit me though! I won’t go into any more details of actually using blotanical as a member. There really is a lot more to discover and I feel it is only fair that you discover this for yourself. However, I should say that you might find a little difficulty navigating the pages in the beginning. Don’t worry about that at all. Just pop a question to the help desk or ask another member – everyone is so friendly and helpful. 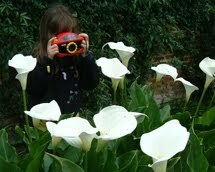 Ultimately blotanical is a fantastic place to find garden blogs and to meet the owners. Stuart and the blotanical team are doing a great job. Mm… I want to say more but I should stop now. Enjoy blotanical and have a great weekend! Finally, a few stats for my bird and wildlife visitors – I did the same search for them. There were many more results for the question ‘Where do you find bird blogs?’ with 65,000,000 on the web. A UK search gave 383,000 which was less than UK results for the question ‘Where do you find wildlife blogs’ which was 474,000. Interestingly the web search for wildlife was surprisingly small at 1,890,000. These stats were only accurate at the time I sampled them this morning however, I wonder what they say for the wildlife of the world? Blotanical is a joy -- I've met so many wonderful people who share the same passion for the garden from all over the world. You made a great explanatory post. I agree, Blotanical is good.Your post is very clear and informative. The screenshots are an added bonus. Thank you for this Shirl. 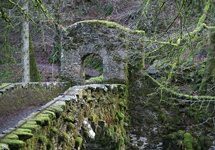 I found a lovely blog down the road from me in Fordingbridge which I've added to my blog reader list. I'd never heard of blotanical. Sounds like we could do with one for wildlife though! This is a great post, a nice tribute to Stuart's hard work and a fine way to introduce Blotanical to others. Like you, I've found many new and wonderful blogs--(I think I found yours beforehand, via someone's sidebar links--as a result of exploring Blotanical.Nicely done, Shirl. Nancy – Thank-you, I really did want to catch the people who don’t know about it. However comments like yours, from someone using it, give weight to my introduction. Thank-you! Great post. Blotanical has proven to be great fun and a good way to meet others of like mind from all over the world. I wish I had read a great post like this before I got started. Very helpful! Hello, thank you for the heads up about snowdrops at Dalmeny Park, I'll add it to the list of places to see them. Just found your bird photos too, wonderful!